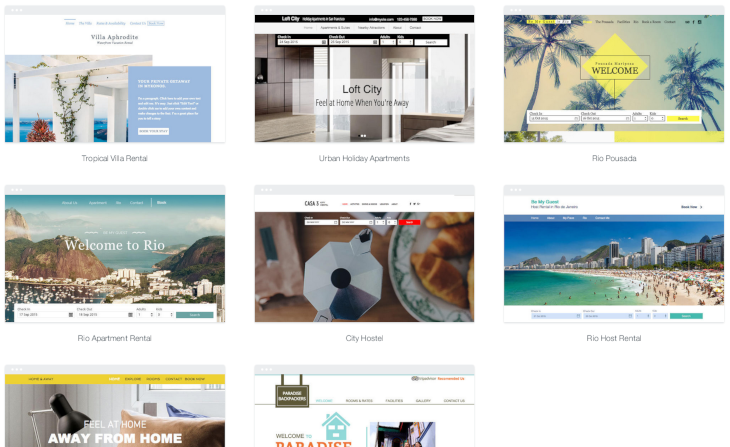 It gives the ability to small business owners worldwide (accommodation businesses included) to host and design a good-looking website simply and cheaply. Using one requires no technical knowledge. Their plans include both access to the browser-based web builder and hosting for a small monthly fee. Some of them also offer free plans if you don’t mind displaying their ads on your website. 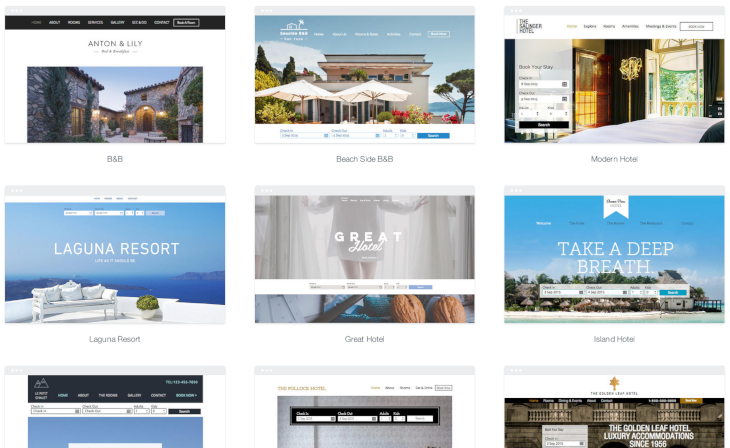 One of the most attractive features of these website builders is the ability to bootstrap a website for your accommodation businesses via answering simple questions in an on-line form. 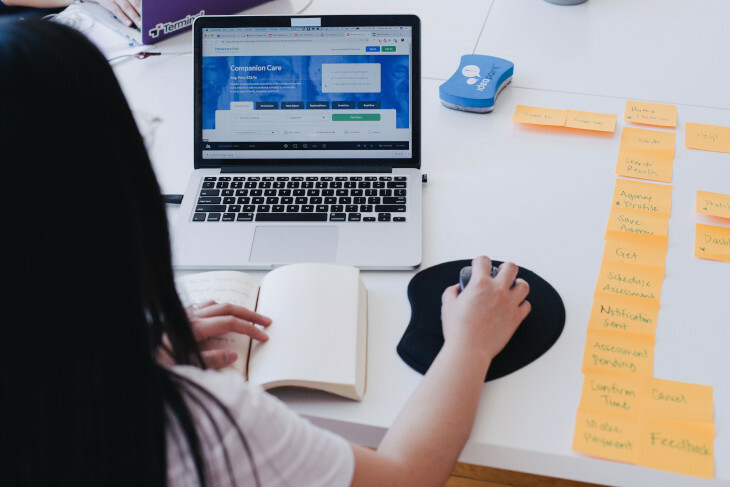 There are many established website builders in this industry over the past decade, with GoDaddy GoCentral and Wix being particularly popular. Of the two, Wix offers a free plan supported with ads. Registration is fairly simple. During the Sign Up stage they will ask you a couple of questions about the nature of your business after which they will activate your account and present you with a range of beautiful accommodation templates to choose from. They offer two sets of design templates. One suitable for hotels and BnBs. The other one suitable for apartments and hostels. Selecting one is only a matter of hovering over it and clicking Edit. For this post we chose the Laguna template. Wix also offers a separate app to their Web builder customers called Wix Hotels. Whilst it offers basic booking functionality, there are areas where it falls short. These include dynamic rates, rate linking, multi-property support and flexible restrictions. 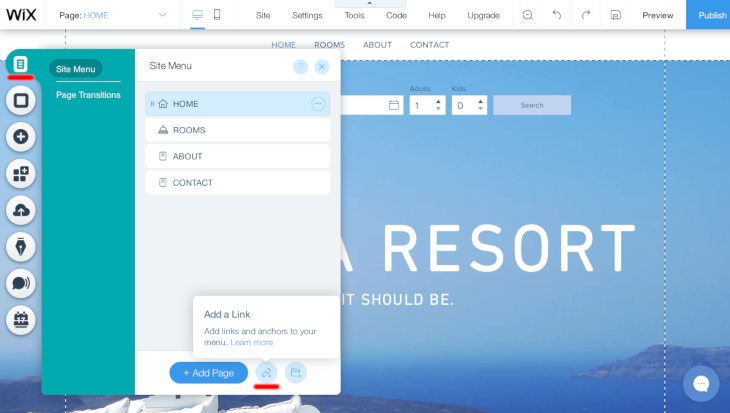 Instead of using the Wix Hotels app, we will set up a full-featured booking engine from Bedvine which, unlike Wix Hotels, is completely free to use. If you don’t have a Bedvine account yet, registration is fairly simple. Just swing over to https://booking.bedvine.com/register to create your account. Once your account is ready to use and you have configured your property, you can find your property dedicated booking pages link via the web configuration tab. Take note of this link/copy it to your clipboard. 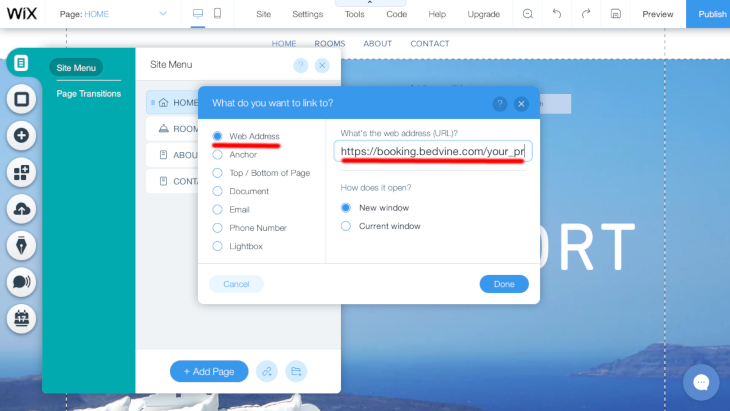 At the end all you need to do is link the Bedvine booking engine account to your Wix website. Usually the best place to put it in any template is in the navigation menu. In your Wix editor you can set this up by clicking on the Site menu and follow the Add a link button. You will then be able to paste the link you recovered from the Bedvine web configuration menu. Make sure you select Web address as the link type. Following this, they will prompt you with an anchor name - this will be the name that shows up in the navigation of your site. We called ours Book Now. That’s it! After publishing your changes, you will be able to receive Bedvine bookings via your Wix website. Subscribe to our newsletter to receive our blog posts and exclusive email-only content.